DIY Pest Solutions » Insect Control » Are Electric Fly Swatters Safe? Fly swatters are widely used to kill various flying insects all over the world. Many people are asking if the handheld bug zapper tool is safe to use for the regular user. The answer is quite complex and in short, the tool should be kept away from children. Since it is powered by batteries, the electric shock that comes with is not too strong, but it can still be accountable for second-degree burns in some rare occasions. How does a fly swatter work? Fly swatters are typically made with a design that is similar to a tennis racquet. The user has to hold a handle and reach for flies with the large head which is made with electricity-conducting wires. In contact with the flies, these wires will instantly kill the insects by burning them. You can thus see how safety concerns would arise, especially for the uninformed user. Generally speaking, the device might not pass the safety regulations in all countries. This being said, it can prove to be a good tool if used correctly which can actually help you eliminate insects. How safe is a fly swatter? When it comes to safety issues, you will have the ability of actually working closely with the device which will be controlled by you at all times. This means that you should not hold it by any other part expect the handle. Much like other electric devices which are handheld, most accidents tend to come with it when improperly handled. A concern that was raised in some specialty research found that the tool can heat up when used for a longer period of time. This is where you would need to take extra safety measures. These safety measures include placing the tool on a non-flammable surface after use. This also means that the tool should be placed away from the reach of children. This whole discussion started when a child suffered burns but this was significantly influenced by the improper use of the tool. Practically, after the flies were killed, while the tool was still hot, it was placed on a flammable surface and coming in contact with it, the child suffered skin burns. Although every manufacturer has clear safety instructions, not all users are keen to get up to date with the recommendations. This is where you will need to ensure that kids actually don’t get to use the fly killing tool. While they may be perfectly fine with using it, it is better to prevent possible accidents. Kids will also be less likely to consider proper placement of the tool once used. So even if they managed to use it without any accidents, they might still be at risk, especially when placing the swatter on a flammable surface after use. Using the tool under the influence of alcohol should be strictly forbidden. You are risking of putting yourself at harm if you decide to use it under the influence of alcoholic drinks. For the best results which are also the safest results, you should not drink before using the tool. It is also a good idea to keep the tool away from alcohol or any other flammable solutions or drinks. This is where the use of the swatter can be limited to certain situations and you want to keep it away from busy events such as family gatherings. After you use the device, you should make sure you give it the opportunity to cool in a safe place. This might mean that you will need to also take it away from the reach of other people, including children. Under no circumstances should you leave it unattended either to cool or to store and in your children’s reach. You may even want to keep it away from adults which don’t know how to safely operate it and who are also unfamiliar with the while cooling process that comes with some designs. Storage also plays an important role for all the devices with batteries. As you will see indicated on most batteries, the recommendations say that you should not keep them in the device while stored for a long period of time. The same can be said about the electric fly swatters. Keeping it safely stored is essential as it will create the best practices habits you need to safely use it for a long period of time. The good news is that all of these tips and many other specific pieces of advice come indicated by the manufacturer. 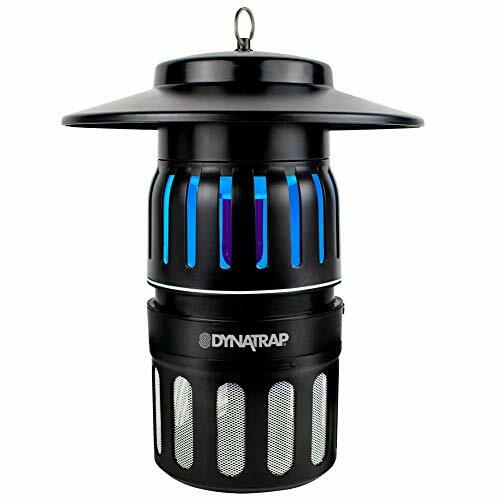 You will be able to find all the information you need to safely operate your electronic fly zapper to kill most flying insects, not just flys! You will learn how to properly use the tool for a long period of time in the safest conditions. Even more, you will get to learn more about battery-powered devices and the good practices you learn might even help you in other situations as well. This is why it is important to consider the best characteristics of the device should be known by hard. You should also know the specific batteries that go into the tool, their lifespan and their charging or recharging capabilities. Electric fly swatters have been associated with some accidents. But even research shows that most of these were caused by improper use of the tool and this is why most users have to consider all the safety precautions before using it. The good news is that you will be able to use it to get rid of flies, but you will have to do it in a responsible manner.